Welcome to my Website, SureFire Golden Retrievers. My name is Beverly Weaver. I am a dog groomer by trade and have owned my own grooming and training businesses. I currently work for my vet. My career with animals began when I was a teenager showing Quarter horses and Tennessee Walkers. Eventually I had to downsize to something smaller, like a dog, a big dog. I started off with a Great Dane and then I fell in love with a Doberman, and after that, a yellow Labrador Retriever. 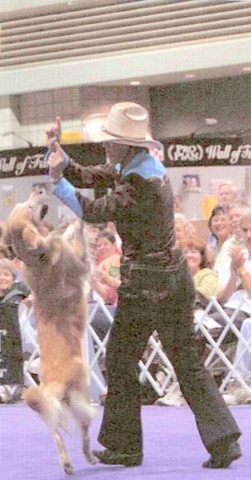 I began showing these dogs in AKC Obedience, working my way up and quickly achieving their Utility titles. 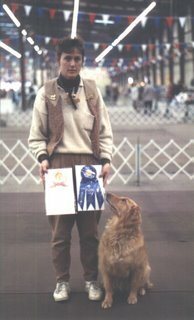 Then I discovered that Golden Retrievers were in my blood and in my heart with my first Golden, Red Eagle Nickie Fox On Run. Nickie was a SuperDog. She worked real hard and achieved an Obedience Trial Championship (OTCH), the highest possible AKC Obedience title. 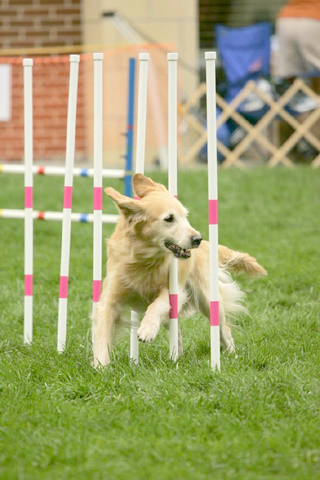 Next I started my dogs in Agility, both USDAA and AKC, and qualified to attend the National Trials for over eight years, achieving two Master Agility Championship (MACH) titles. 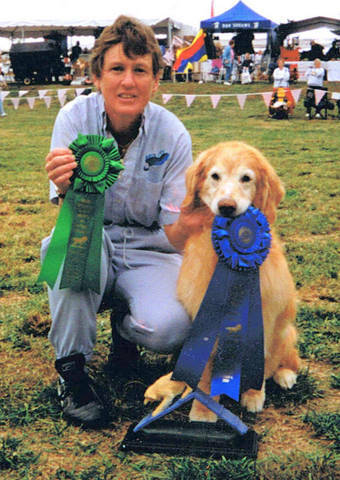 I also branched into Tracking, putting numerous Tracking titles on my dogs and then got hooked on Field training, putting numerous WC-WCX and Senior and Master titles on my Goldens. As a breeder of over twenty litters, I am hooked on producing the very best Golden Retrievers I can, for myself to work and to play with, and for other dog lovers as well. 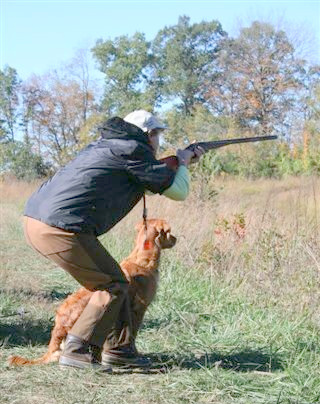 My goal is to produce sound quality Goldens for Performance & Hunting Homes - though a few may go to active pet homes as well. I am located in Northeast Kansas and I am a hobby breeder. is a must, and I strive to keep it that way. 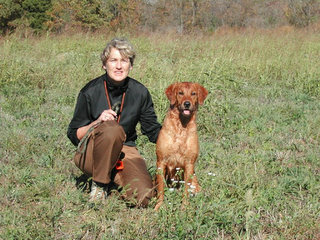 I believe that by studying pedigrees to select the best match I can for my girls and with those good genetics, as well as ensuring that clearances of hips, eyes, heart, elbows, thyroid and PRA eye testing are obtained before breeding, and then with the use of a quality holistic food in a good home environment, I will be doing the best I can to raise quality pups with a healthy longevity. and in books with stories written about us. 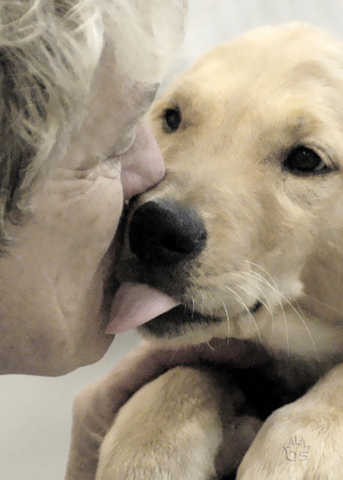 Yes, A true breeder is a loved breeder.